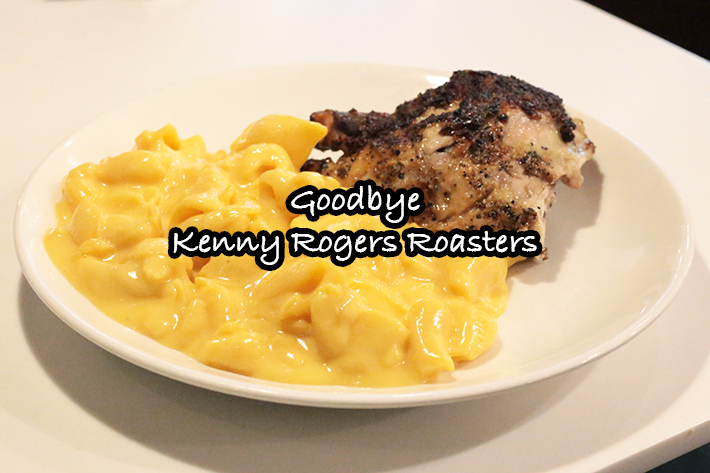 Casual dining restaurant Kenny Rogers Roasters is closing its last outlet at Great World City this Sunday, April 14. We will miss them for their rotisserie roasted chicken and variety of hot and cold side dishes. The management, Pacific Utama Pte Ltd, put up a notice at the entrance to their last outlet that the end of this week will be their last day serving customers. The announcement also thanked everyone for their “patronage all these years”. The American restaurant opened here in 1994 and has quietly closed several outlets over the last couple of years.